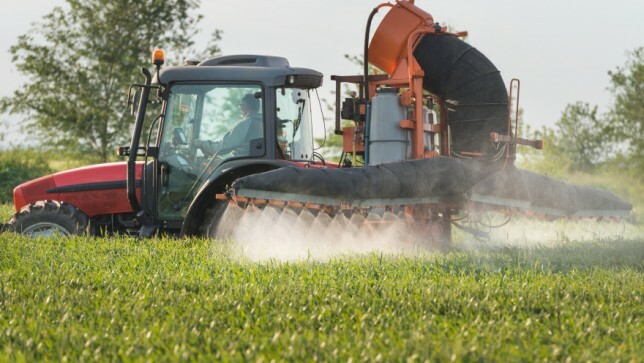 The Environmental Protection Agency is currently reviewing an application from Dow AgroSciences, a wholly owned subsidiary of Dow Chemical Co., to sell Enlist Duo for use in agriculture. Enlist Duo would be used on millions of acres of farm fields in combination with a new type of herbicide-resistant, genetically engineered crops. The medical and scientific experts told a Congressional briefing that this would put human and environmental health at risk. The U.S. Department of Agriculture is weighing a separate application from Dow to market corn and soybean seeds that the company genetically engineered to tolerate the 2,4-D/glyphosate combination. Those who spoke at the briefing to oppose Dow’s application included Dr. Philip Landrigan of Mount Sinai School of Medicine, Dr. Catherine Thomasson of Physicians for Social Responsibility, John P. Wargo, Ph.D. of Yale University, Doug Gurian-Sherman, Ph.D. of Center for Food Safety and Gary Hirshberg of Stonyfield Farm and the advocacy group Just Label It. Click here to listen to a full audio recording of the briefing. Americans are already exposed to 2,4-D in herbicides applied to lawns, turf grass and other non-agricultural sites. Exposure to the toxic defoliant has been linked to non-Hodgkin lymphoma and Parkinson’s disease as well as immune system, thyroid and reproductive problems. Glyphosate is the harmful active ingredient in Roundup, the infamous weed killer developed by chemical giant Monsanto. Crops genetically engineered to withstand Roundup were introduced in the mid-90s. As scientists predicted, weeds quickly developed resistance to the herbicide, which in turn led to the use of hundreds of millions more pounds of the weed killer than would have occurred without these crops. In June, 35 doctors, scientists and researchers, including Dr. Chensheng (Alex) Lu of Harvard School of Public Health and Dr. Raymond Richard Neutra, a retired division chief of the California Department of Public Health, sent a letter to EPA Administrator Gina McCarthy urging her to deny Dow’s application. Before the public comment period ended, EPA received half a million comments opposing the controversial proposal. Please DO NOT APPROVE THE 2,4-D I care about the health of my FAMILY, care about yours. PLEASE, DO NOT APPROVE 2,4-D, I CARE ABOUT MY FAMILY’s HEALTH, CARE ABOUT YOURS.